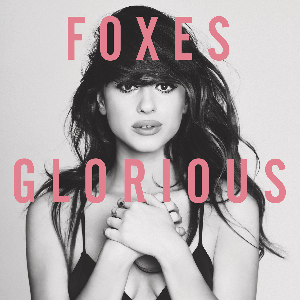 After winning a Grammy with Zedd last year for the stunning “Clarity” (which got to #2 on my chart and was my #10 song of 2013), London singer Louisa Rose Allen (aka Foxes) released her debut album Glorious, which has already been preceded by UK hit singles “Youth” and “Let’s Go For Tonight”. While those two songs also became club hits worldwide, it looks like the title song from Foxes’ album is the crackerjack hit to send her back on to the worldwide pop charts by end of summer. It’s a big and bittersweet offering, with an instantly recognizable vocal thanks to “Clarity”. The video augments the sadness of the song by surrounding the singer with a country club setting full of beautiful people – leaving a hollow sense of heartache. Watch the video below. The single is officially released in August.